This is a picture of the kit you receive once you’ve signed up to become an ItWorks! Distributor. 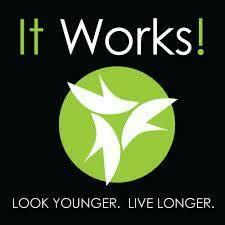 Let me tell you the truth about ItWorks!. I won’t get into the products and background of the business or anything like that, but rather tell you skeptics out there if it really is worth spending your hard-earned cash on. A few months ago I bought into the crazy wrap thing, the whole ItWorks! phenomenon. It cost me $99 to get started. I say get started because although it’s a one time fee to get started you will need inventory to keep your business going. You also need to pay for your ItWorks! eSuite, which costs about $20 each month. This allows you to keep track of your entire business online. You need it. In addition to the startup and eSuite fee you have your monthly auto-shipments. In order to get paid your auto-shipments need to be turned on and set to at least 80 BV. The good thing is when it comes to your inventory there is a wide selection of products you can choose from. Prices start as low as $5 so you can get a lot of bang for your buck. I know it seems like a lot but it’s so easy to make your money back and then some. I know of a lot of people who have quit their day job to pursue ItWorks! full time. 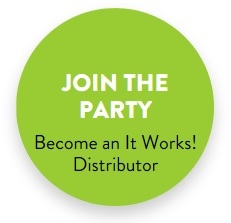 I’m currently in the process of leaving my “9 to 5” behind and just focusing completely on ItWorks! because I have that much faith in this business, my business. All I do is sit in front of my computer or hold my phone and have conversations with people online, mostly social media. If you’re on Instagram or Facebook you’re halfway there. Just sign up by clicking the picture below. If you have any questions feel free to email me. I am always here to help and walk you through this process.